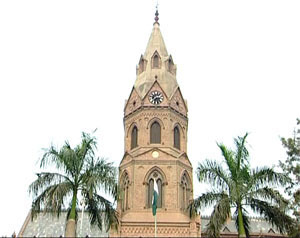 The Punjab government Wednesday appointed eminent writer Prof Dr Muhammad Iqbal Shahid as Dean of Languages, Islamic and Oriental Learning at the Government College University Lahore against the post that was lying vacant for the last eight years. Prof Dr Hassan Amir Shah after his appointment as GCU VC had moved a summary to the Punjab governor through the Higher Education Department for the appointment of deans in Faculty of Science and Technology and Faculty of Languages, Islamic and Oriental Learning. The governor had also approved the appointment of Prof Dr Islam Ullah Khan as Dean Science of Technology who had already served against the position for three years. Prof Dr Muhammad Iqbal Shahid is PhD in Persian literature from University of Tehran, Iran and held a post doctorate from the University of London, United Kingdom. GCU Academic Staff Association President Prof Dr Riaz Ahmed also welcomed the appointment of deans. He lauded that Prof Hassan Shah that he instead of centralising powers as per previous practice, had appointed regular deans.